Free the Ball is a simple yet highly addictive unblock puzzle game that will keep you hooked to the screen for a long time. 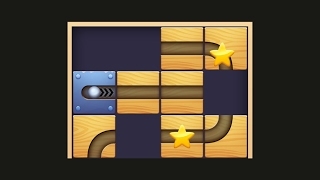 In this fantastic brain teaser game your goal is to create a path for the ball to reach the goal by sliding blocks. To keep you entertained for months Free The Ball features not less than three thousand levels. Yes, we are not kidding you - three thousand levels and all of them are completely free without any purchases.